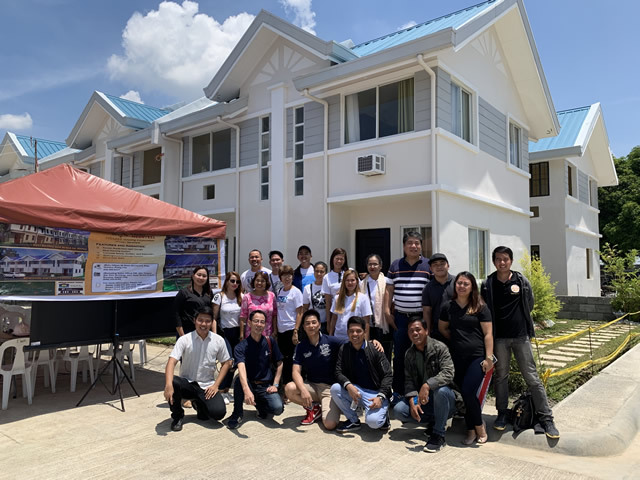 About Us-AMBITIOUS URBAN DEVELOPMENT PHILIPPINES INC.
We take advantage of the technology and know-how of the housing construction and the town development that we have cultivated in Japan, and do "house-building" in Republic of the Philippines. To do housing business overseas is to create the future of the country together. We think that it is to create the dream of the future together with the people. Now in the Philippines people wanting owned houses are increasing like Japan. However, there is still a large income disparity, so many people may be merely describing "having their own house" as a distant dream in a slight mind. But we think, if people in the Philippines can change their own "diligence" into energy, it is always a feasible dream. We want to gather together one chance to actualize such dreams. We want to actualize that you have a house together. We want you to realize the happiness of the family and a life rich. We hope to make many Filipino people smile. It's not too late to make a dream come true. We can always challenge as long as we have a dream! If you take a step forward and act, everyone can create a new life, a new future, and a new self! Let's make our dreams come true together in this development remarkable country. through "Housing building" with the technology and mind cultivated in Japan. We will work as a "person" with a correct mind that transcends profits or calculation. We are working as a "person" with modesty born from the heart that respects others. We will work as a "person" with consideration. We will work as a "person" with courageous execution power, going a way to believe that you are right. 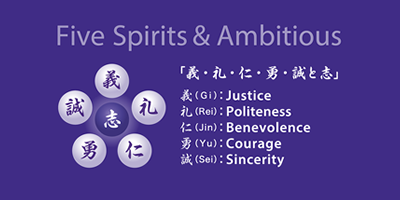 We will work as a "person" with a sincere heart, challenge and accomplish them. Finally, as a "person", we constantly challenge everything with a dream and always create something from there. Never give up. Started as the oversea department of Kyushu Yaesu. 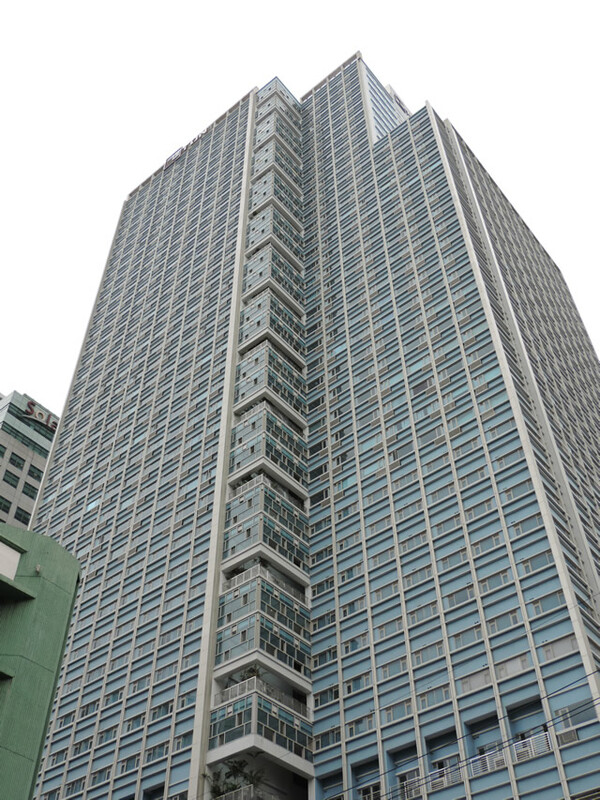 Develop residential real estate business in the Republic of the Philippines. 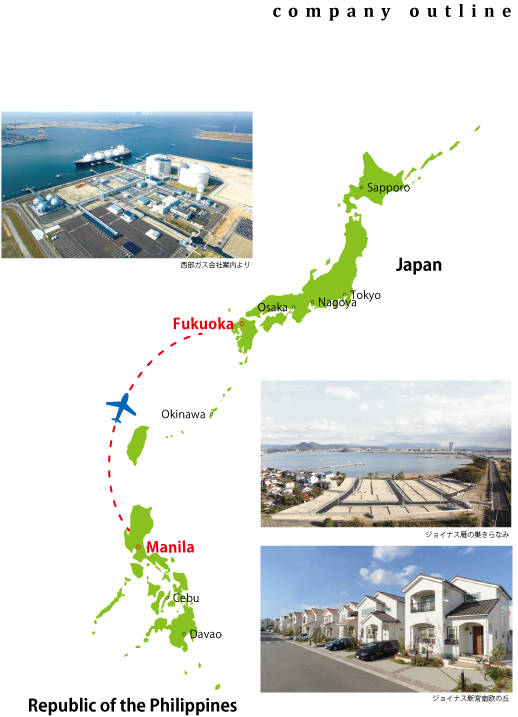 KYUSHU-YAESU is general developers and has areas around Fukuoka city. Supplied more than 2,000 houses so far. KYUSHU-YAESU take the lead in the real estate and house building department of SAIBU GAS Group. SAIBU GAS is a Gas company that headquartered in Fukuoka City and has areas in northern Kyushu. One of the four large Gas companies in Japan. First Section of Tokyo Stock Exchange listed companies.